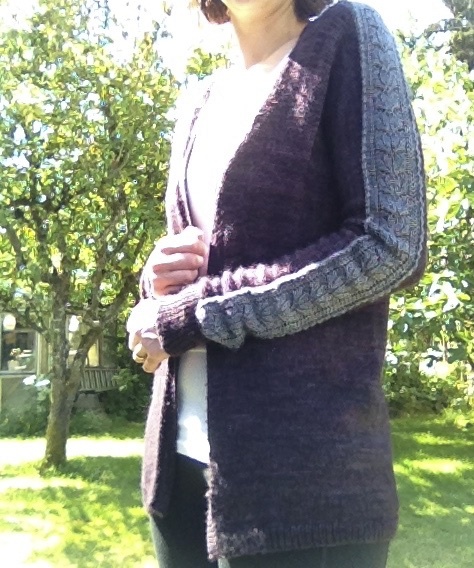 I started this Old Romance cardigan back in August 2014! I am not a fast knitter and I have issues with my tension, so I usually stick to making scarves and hats. Much of what I knit ends up smaller than it should be. Last summer I had got to about 70% complete on this, I was finally knitting down the back to the length I wanted. But I tried it on and I really wasn't happy with the size. It was too short in the arms and too tight. I decided it would never be worn if it was too small and what was the point of continuing. So I ripped it all out back to the lace strips that make up the sleeves (above picture) and started again! Complete madness. I moved up a needle size to get a large swatch and made the next size up. I persevered! I love the wool, the colour and the pattern so I made it a priority. Fortunately, it has been baseball season these past few months and I get so sit and knit while they play, bonus. 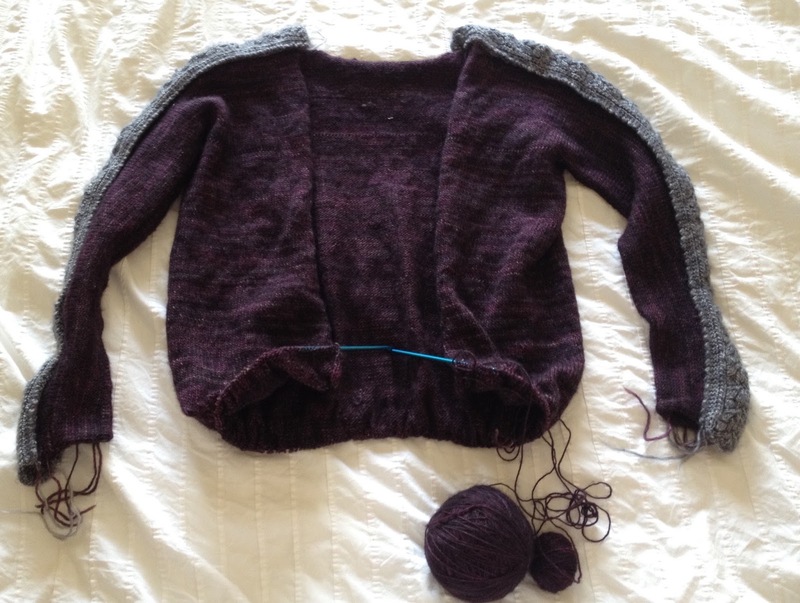 Now it's all blocked and ready to wear. This one has been on my list of things to finish for quite a while now. And was certainly on my Finish-a-long Q2 list here. So pleased to tick another one off the list. I know the feeling all too well. I rip out my knitting more often than I care to count. Your cardigan looks great! I like the blue stripes very much. OOOO!!!! I love the lacy sleeve detail! What a beautiful finish. On behalf of the global 2016 FAL hosts, thanks for playing along!